This post was created in collaboration with Appletiser. 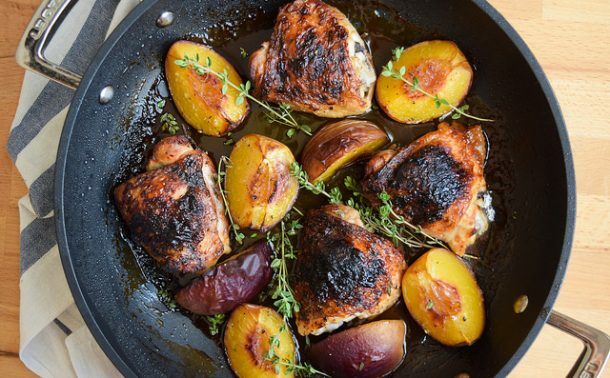 One of my boyfriend’s favourite dinners is roast chicken thighs. 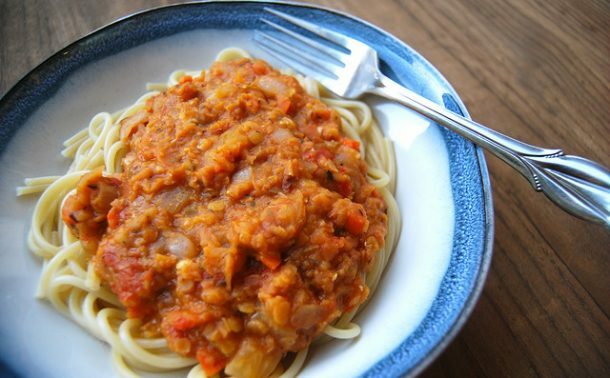 I first started giving them to him the way my mum makes them with lots of Mediterranean vegetables roasting with them on a tray with lots of crusty bread to mop up the juices. 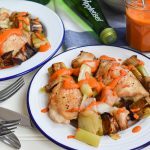 I’ve branched out a bit since then, and when I found out that one of his favourite vegetables is the humble leek, I decided to go full on autumn cooking with a big tray of roasted chicken and leeks that are soft on the inside and charred on the outside, practically doused in a bright, punchy Romesco sauce I love to brighten meals up with once summer is over. This plateful really is the sum of its parts. 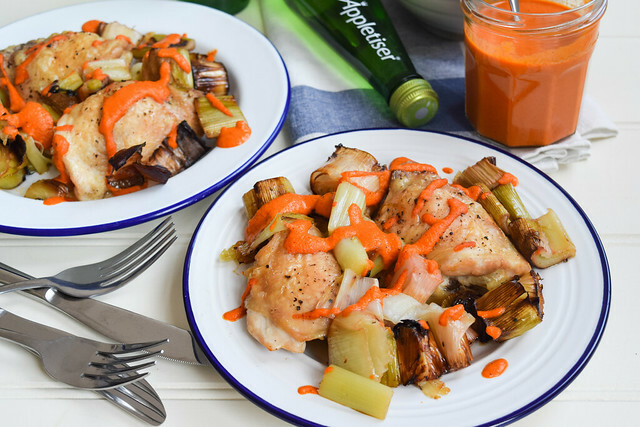 You want to get a nice crispy skin on the thighs for texture, and as they’re your only vegetable, the more leeks the better. 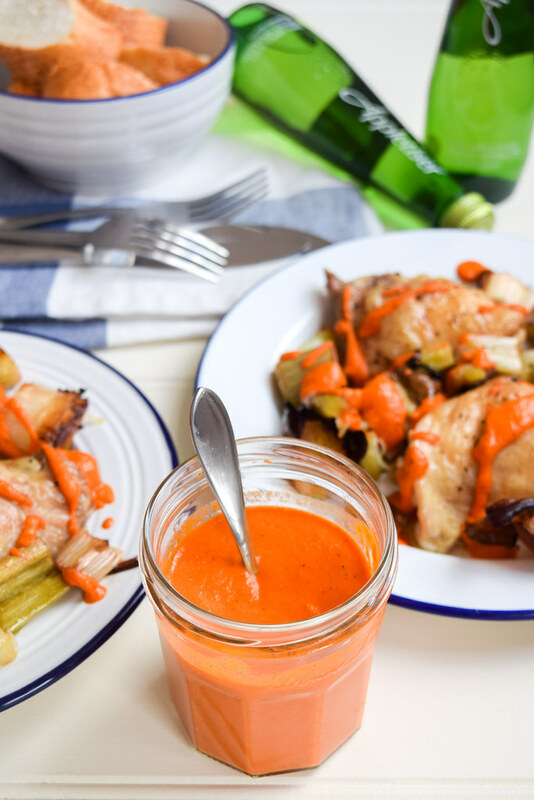 You want them falling apart as you remove them from the baking tray, looking slightly burnt in places, and you’ll be upset to be missing out on the fantastic sauce that gathers on the plate from the Romesco, the leeks and the chicken, so lot of crusty bread to mop it all up with is also a must. 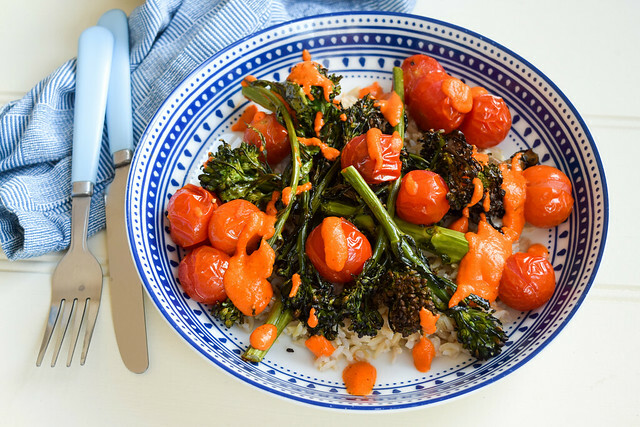 I shared my Romesco sauce recipe a few weeks ago; if you make it for this recipe, it is also great with a roasted veggie rice bowl. 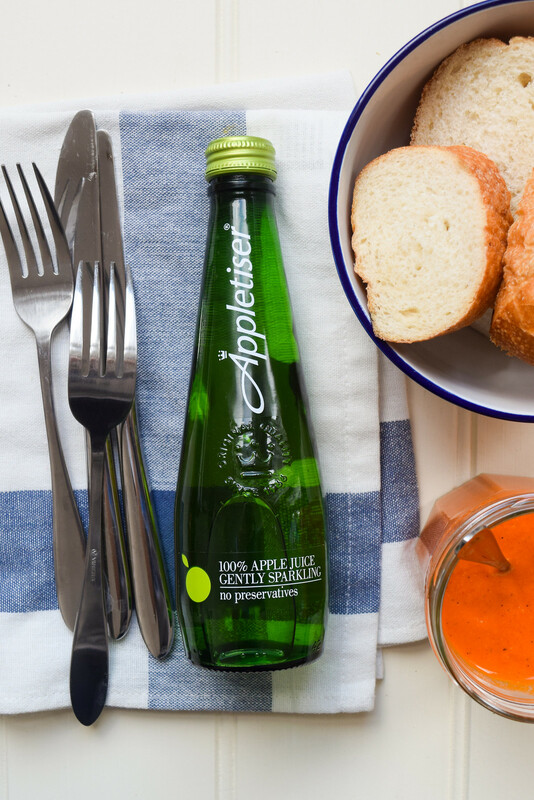 This recipe is another one of my Appletiser ‘Perfect Pairings’: dishes that have at least one added portion of fruit and veg, and no added sugar (just like Appletiser’s gently sparkling apple juice!) 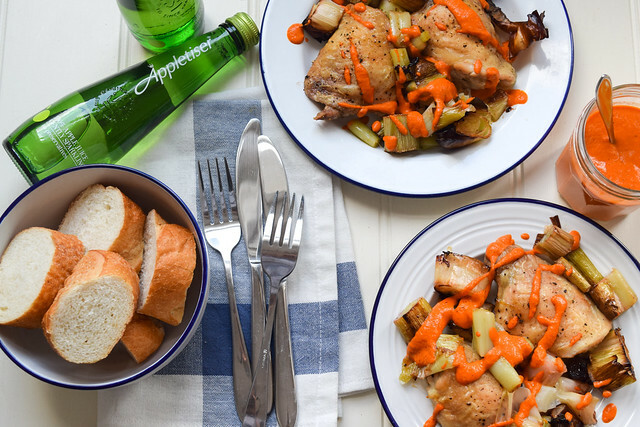 that you can serve with an Appletiser in lieu of a glass of wine, and that are easy enough to make on a weeknight. 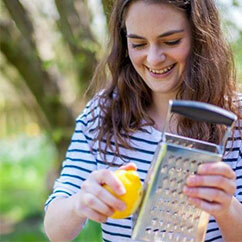 The natural sweetness of the apple juice really brings the best out of the leeks! 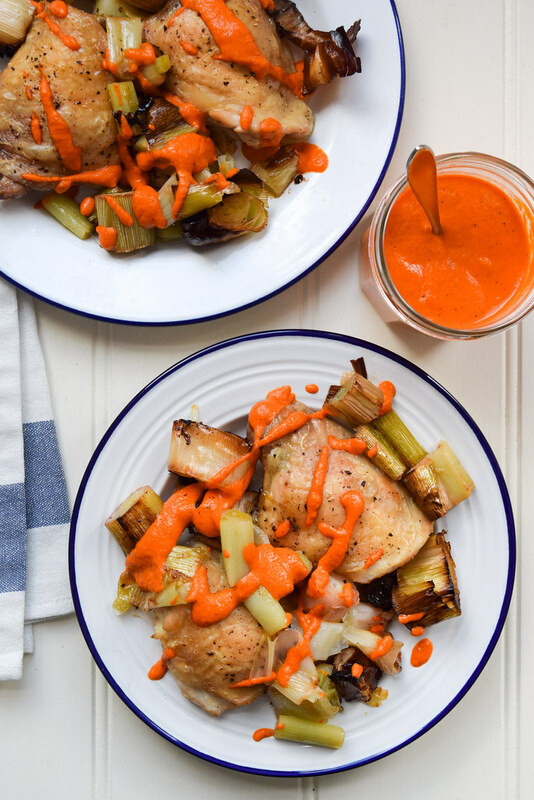 This easy one pan chicken and leek number is brought to life with a quick, easy and punchy Romesco sauce. Pre-heat the oven to 200 degrees (390 Fahrenheit). Toss the leeks together with a glug of oil and a generous amount of black pepper on a large, rimmed baking sheet. Nestle the chicken thighs among the leeks and season the skins with a bit more salt and pepper. 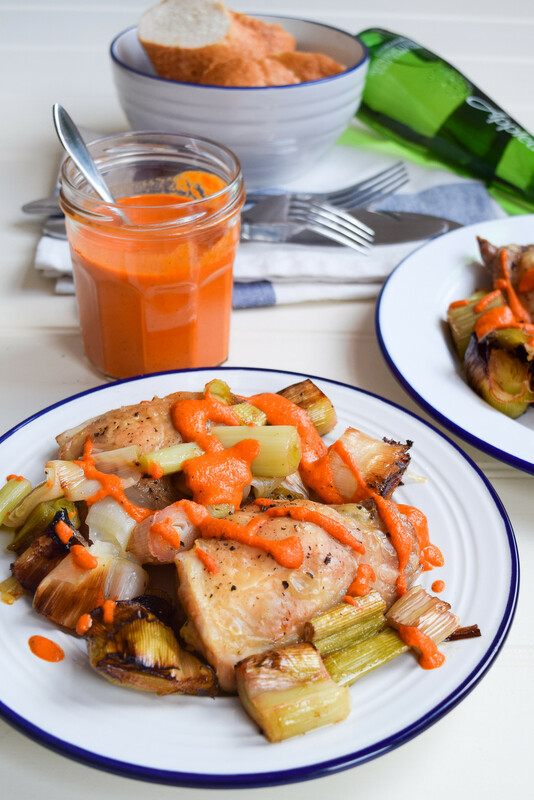 Roast the chicken and the leeks for 40 minutes. 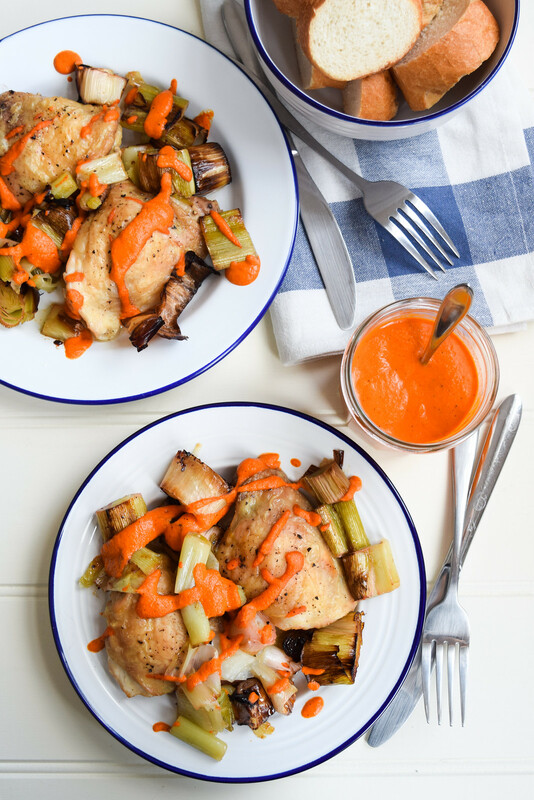 Serve with the Romesco sauce spooned over and a chilled glass of Appletiser.